Michael V. DiNuzzo | DiNuzzo Index Advisors, Inc.
Michael V. DiNuzzo is the Vice-President, Wealth Advisor, and Retirement Income Specialists of DiNuzzo Index Advisors, Inc. which has operated as an SEC Registered Investment Advisor since 1989 and currently manages over $701 Million in Assets Under Management as of March 29, 2019. 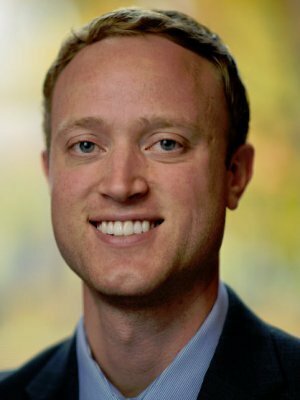 Michael joined DiNuzzo Index Advisors, Inc. in 2007 serving in the Financial Planning department as an intern until 2010 when he joined the firm full time and was promoted to Wealth Advisor. Michael was a key component in DiNuzzo Index Advisors, Inc. being awarded the “#1 Best Places to Work” in Western Pennsylvania/Pittsburgh in 2008, 2013 and 2016 by the Pittsburgh Business Times. 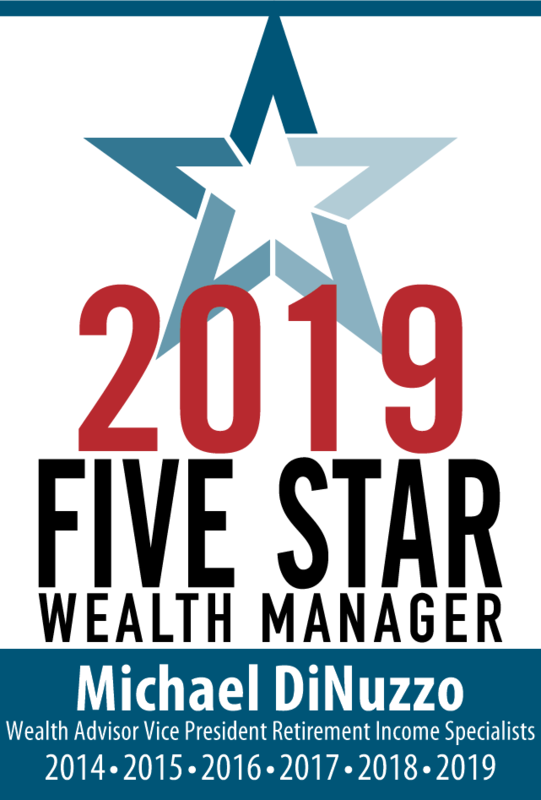 Additionally, Mike has been awarded the prestigious multi-year designation as a FIVE STAR Wealth Manager. The award is given to wealth managers in Pittsburgh and across the U.S. who satisfy key client criteria and score the highest in overall client satisfaction. His objective was to join a firm that uses a ‘team’ approach in making recommendations to solve for what lies in the best interest of its clients. Mike firmly believes that investment philosophy, world class research, disciplined asset allocation models, and especially fiduciary responsibility are necessary for a successful client relationship. Mike continuously demonstrates the critical elements for client satisfaction and success in the fields of Wealth and Risk Management. Mike received his BA (Bachelor of Arts Degree) from Duquesne University and is a member of the Duquesne University Alumni Association. In 2016 Mike successfully completed his MSFP (Master’s Degree in Financial Planning) from Bentley University in Boston, MA. Michael is a member of the Financial Planning Association (FPA) and Mike has also, achieved his ChFC® (Chartered Financial Consultant®) designation through The American College. Michael V. DiNuzzo has earned the prestigious CERTIFIED FINANCIAL PLANNER™ (CFP®) designation. The Certified Financial Planner Board of Standards Inc. has only awarded the CFP® credentials to less than 8% of all licensed professionals in the field. In 2014 Michael was awarded the Accredited Investment Fiduciary® (AIF®) Designation from the Center for Fiduciary Studies™, the standards-setting body for fi360. The AIF® Designation signifies specialized knowledge fiduciary responsibility and the ability to implement policies and procedures that meet a defined standard of care. The Designation includes an agreement to abide by the Code of Ethics. On an ongoing basis, Designees are required to complete continuing education to maintain the AIF® Designation. Michael has been interviewed and quoted in the “U.S. News & World Report” and “The Huffington Post”. Both articles may be accessed on our website under "In the News". Mike learned the importance of teamwork and leadership while playing school and AAU basketball during childhood and through high school graduation. He went on to play at IMG Academy in Bradenton, FL, Massanutten Military Academy in Virginia, and Westminster College, PA.
Born and raised in Beaver, PA, Mike currently resides in Ben Avon Heights with his wife Jess. He is active in his Church and community. In his spare time he places priority on physical fitness, having completed several half marathon races and one full marathon, while also finding time to play the piano and further refine his musical abilities. Mike is a member of Nashville Songwriters Association International (NSAI). In order to consider a broad population of high-quality wealth managers and investment professionals, award candidates are identi­fied by one of three sources: fi­rm nomination, peer nomination or prequalification­cation based on industry standing. Self-nominations are not accepted. Pittsburgh award candidates were identified­ed using internal and external research data. Candidates do not pay a fee to be considered or placed on the ­final lists of Five Star Wealth Managers or Five Star Investment Professionals. Although this list is a useful tool for anyone looking for help in managing their fi­nancial world or implementing aspects of their ­financial strategies, it should not be considered exhaustive. Undoubtedly, there are many excellent professionals who, for one reason or another, are not on this year’s lists.